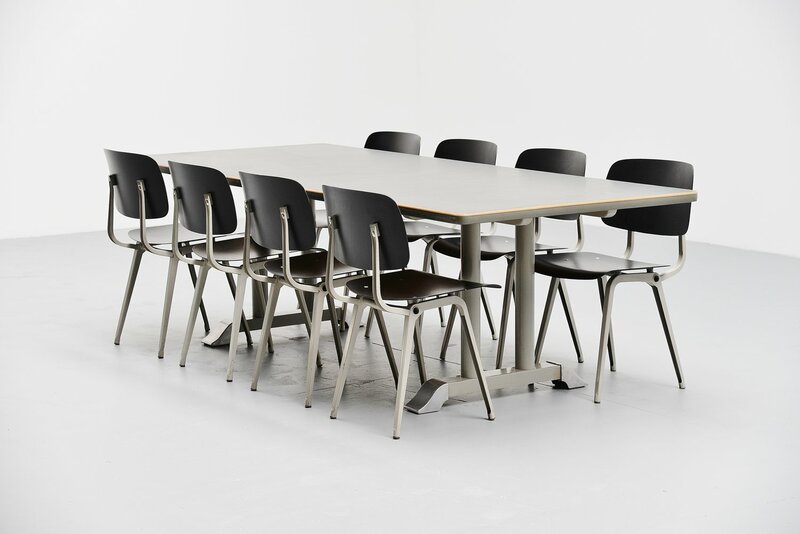 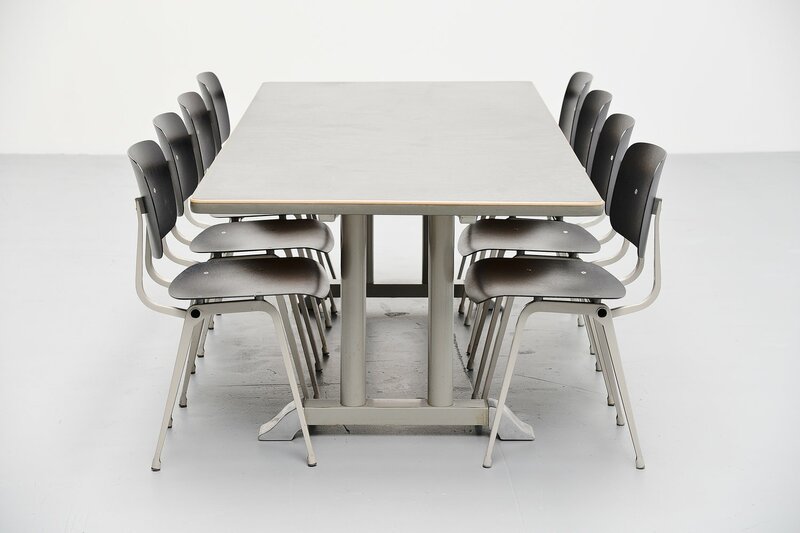 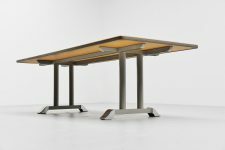 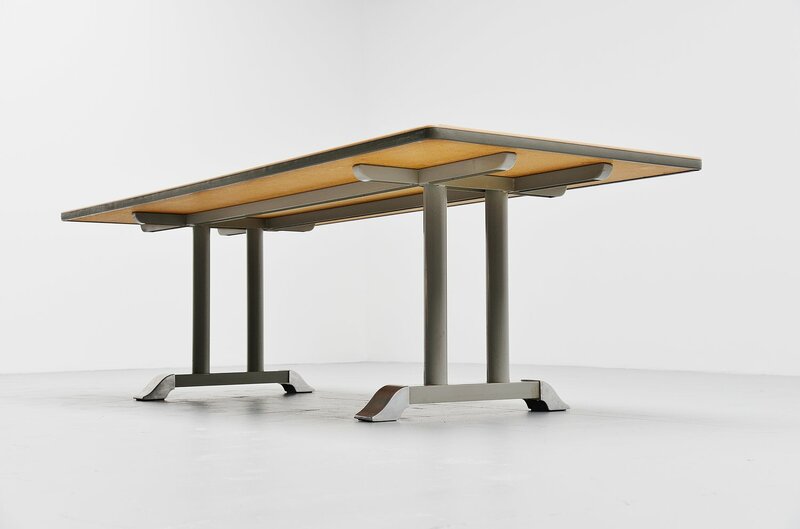 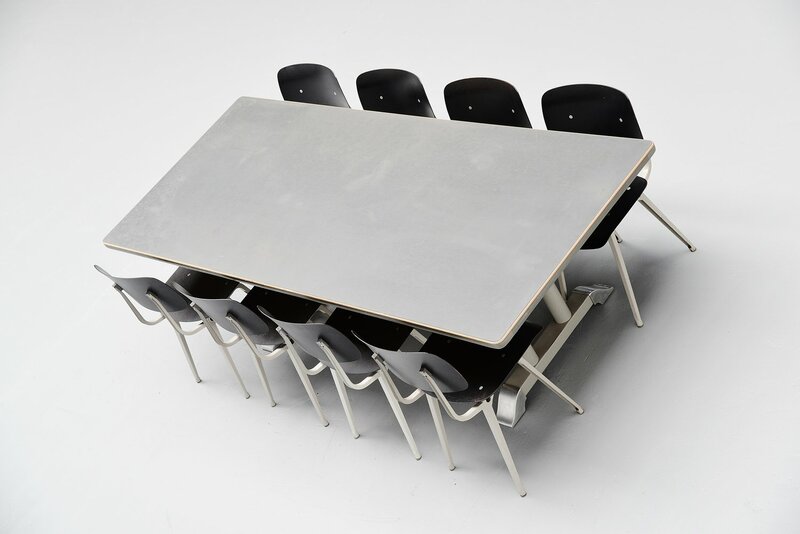 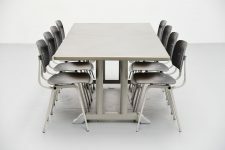 Large conference or dining table designed by Chris Hoffmann for Gispen, Holland 1949. 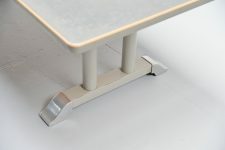 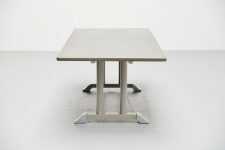 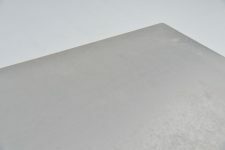 The table has a light grey lacquered frame with aluminum feet (In Holland this is called a toe table) and it has a long dark grey vinyl top with plastic and metal lacquered edge. 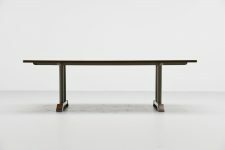 The table is in a good original condition with patina to the surface but it all fits the industrial look of this table. 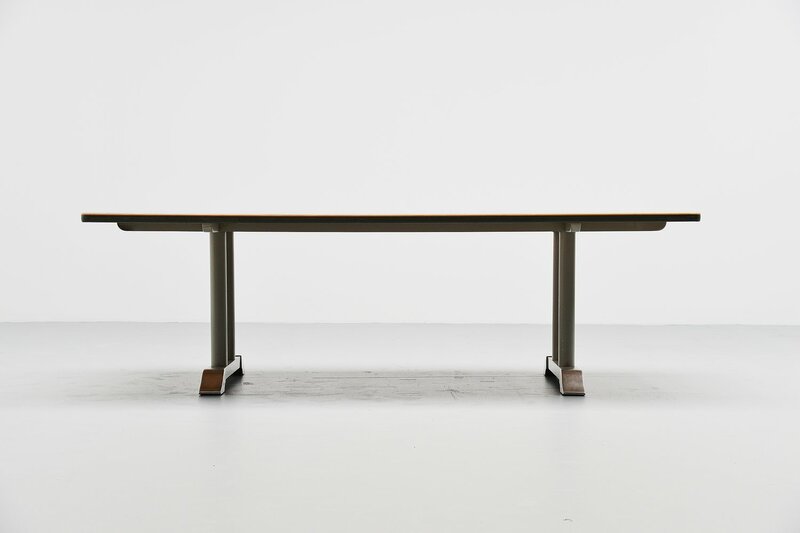 This spectacular piece needs a big space to get what it needs. This table can fit 8 chairs easily if not 10. Would be a fantastic addition to any home or office. 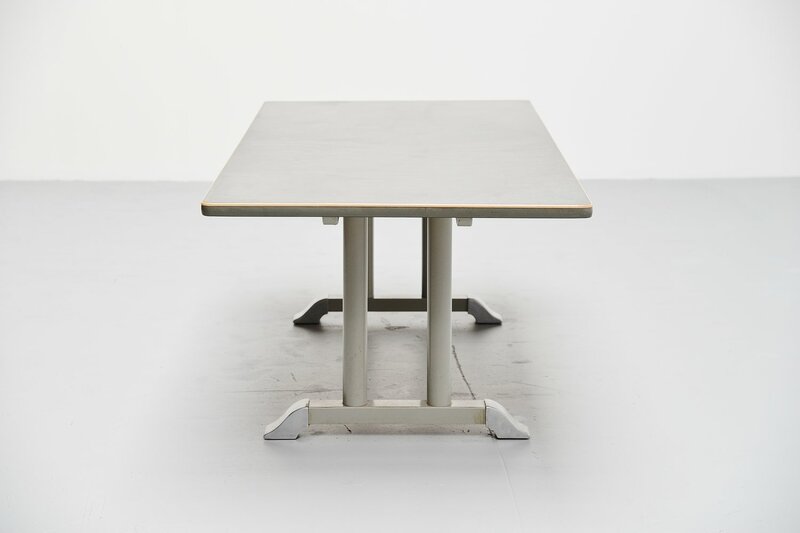 This table was built to resist.